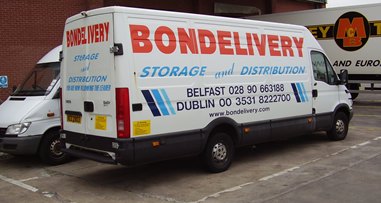 Bondelivery NI Ltd was founded in 1965 and was acquired by the highly successful McBurney group in 1989. The group has a fleet of 320 units, 80 rigid vehicles, over 1,000 trailers, 300,000 sq ft warehousing and a workforce of over 800 people. We have staff at 7 locations throughout the UK and Ireland convenient to all major shipping ports and road networks. The Group combines their activities to offer clients a comprehensive and bespoke transport and logistics service. We provide trunking to and from the UK, warehousing, order picking, cross docking and delivery to trade, homes etc in the UK and Ireland. Our distribution services are provided using a fleet of modern, specialised and secure vehicles operated by a team of fully trained and professional drivers. 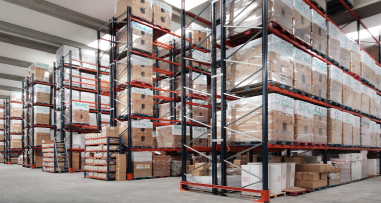 With over 30,000 sq meters of warehousing, Bondelivery NI Ltd has extensive experience of handling a variety of products from high value items to ambient and temperature controlled foods. Our home delivery services are dedicated bespoke solutions designed to meet the specific need of our customers. We are established as the largest provider of two-man home delivery services in Ireland and cover the entire 32 counties.